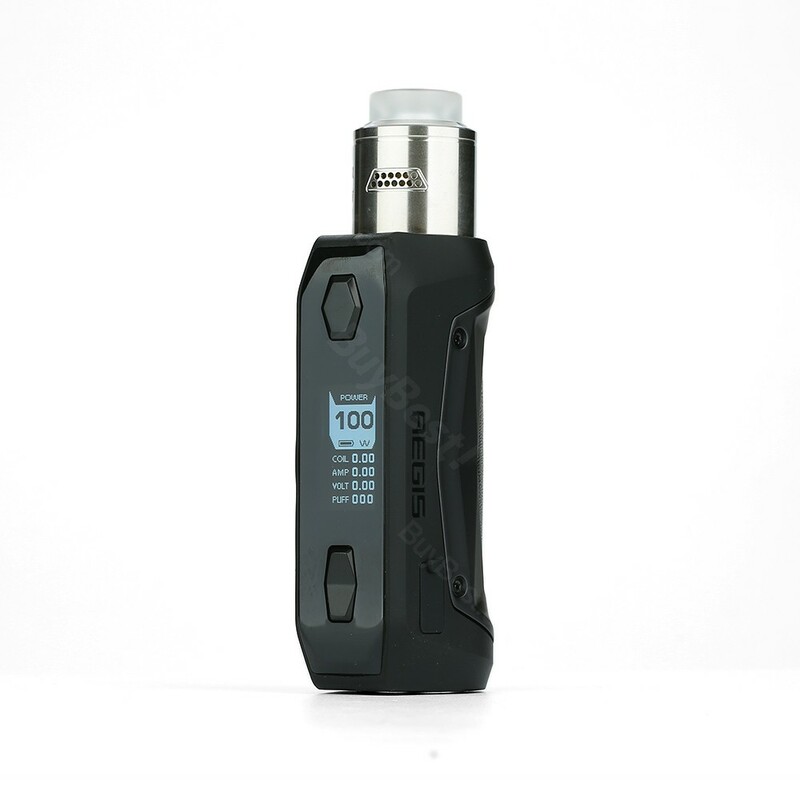 Geekvape Aegis Solo Box Mod and Tengu RDA consists the Aegis Solo Kit. The Tengu RDA equipped comes with unique build deck and precise lateral airflow holes which can support easy dual coil building and bring great flavor. Geekvape Aegis Solo Box Mod and Tengu RDA consists the Aegis Solo Kit. 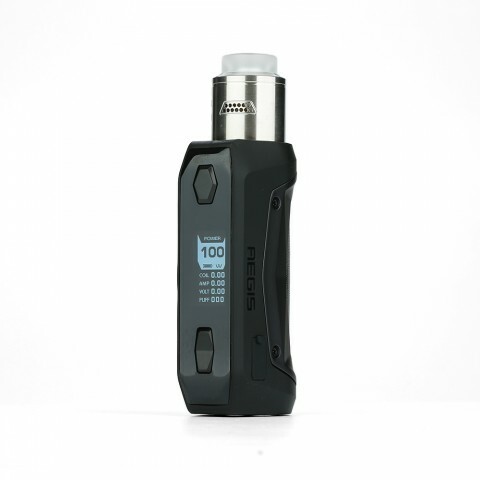 Powered by single 18650 battery (not included) and latest AS chipset, it is a powerful and exquisite vape kit which can fire up to 100w max output power. The 0.96 inch display screen adopted enables easy operation. 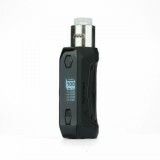 Same as Geekvape Aegis Mini kit, it can support Power / VPC / TC / TCR / Bypass modes and waterproof, dustproof, shockproof. The Tengu RDA equipped comes with unique build deck and precise lateral airflow holes which can support easy dual coil building and bring great flavor. 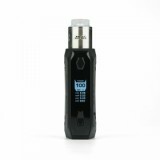 Get the Aegis Solo Kit to enjoy vaping! • Geekvape Cerberus Tank, GeekVape Aegis Solo Mod，GeekVape Aegis Solo Kit with with Cerberus Tank are also available in BuyBest. •No e-juice, you need order e-juice separately. Great weep! In appearance-excellent, beautiful. Looks very good. Soars perfectly!!! Taste conveys well. I have the second wave. My first wave-vaporesso lux (not advertising). If you compare, then this wave produces steam a little land. Vapour vapour is slightly moist (not advertising). This weip Excellent, steam saturated, delicious. Weep does not flow, no ziphonite, easy to use and convenient in settings. Suitable especially for those who want to quit smoking-as i did, and i do not regret it. I recommend this weip. Thank you seller, thank you, thank you. The parcel came quickly. Very convenient in everything, in the hand sits well, the settings are clear, the steam is thick, the taste is excellent! Beautiful contagion, the eye rejoices! Those who want to quit smoking and looking for a suitable weep-i recommend! Thank you seller! Manufacturer well done, tried! unique build deck and precise lateral airflow holes work very convenient and give me best flavor! Best customer service! Love buybest! 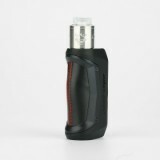 Like the Geekvape Aegis Solo TC Kit with Tengu RDA very much! Tengu RDA gives me the best flavor. I prefer Tengu RDA to Cerberus Tank! Fast delivery and free shipping! 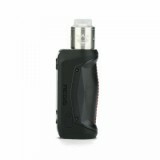 Geekvape Aegis Solo TC Kit has a smaller and lighter chassis with excellent durability and comfortable hand feeling. The best flavor works well so far! Fast delivery! 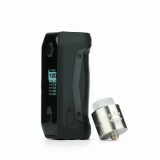 I think Aegis Solo TC Kit better than the GeekVape Aegis Mini Kit. Best flavor, I'll buy one for my brother as a present. Free shipping!